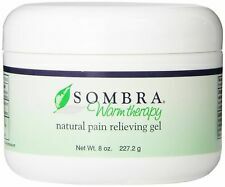 Sombra's Original Warm Therapy Pain Relieving Gel 8 oz Jars. is at least 2 years from current date. grapefruit seed extract, green tea extract, orange peel extract, queen of the prairie extract, rose water. Try the first product on the market that doesn't just numb pain, it outsmarts it on a molecular level. As heard on NPR - A new way to outsmart pain. Children under 12 years of age: Consult your doctor. Use only as directed. If pregnant or breast-feeding, ask a health professional before use. Keep this and all drugs out of reach of children. Greaseless and non-irritating for relief no matter what you wear. Australian Dream Back Pain Cream 4oz Jar. Condition is New. Shipped with USPS First Class Package. Tiger Balm Neck & Shoulder Rub FAST Muscle Ache Relief 50 g ( 2 pack ) SALE! TIGER BALM NECK&SHLD RUB 1.76Z. 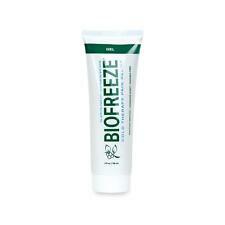 For temporary relief of minor aches and pains of neck and shoulder muscles and joints. Non-greasy, fast relief. Vanishing scent. For adults and children over 12 years, rub well on the affected area. 5 out of 5 stars - Tiger Balm Neck & Shoulder Rub FAST Muscle Ache Relief 50 g ( 2 pack ) SALE! 24 product ratings24 product ratings - Tiger Balm Neck & Shoulder Rub FAST Muscle Ache Relief 50 g ( 2 pack ) SALE! Salonpas Lidocaine Pain Relieving Gel-Patch. Salonpas Lidocaine Pain Relieving Gel-Patch provides temporary relief of pain associated with back, neck, shoulders, knees and elbows. Numbing relief. Maximum strength available without a prescription. Coated caplets to help make swallowing easier. 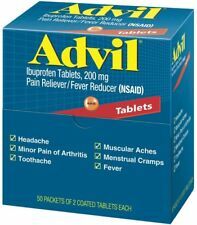 Use for temporary relief of: backache pain, muscle aches and pains, and minor aches and pains of arthritis. NO EXCEPTIONS. WHY BUY FROM US?. Ask a doctor before use if you have redness over the affected area. Keep out of reach of children to avoid accidental ingestion. Purpose Pain Relieving Cream. Directions Use only as directed. Children under 12 years of age: Ask a doctor. These are new and unopened tubes. These are shelf pulls because of misc. Dragon Muscle Ache/Arthritis Pain Relieving Cream temporarily relieves the minor aches and pains of mucles and joint associated with simple backache, arthritis, strains, bruises, and sprains. Australian Dream Arthritis Pain Relief Cream effectively relieves minor arthritis pain, simple backache, strains, sprains and bruises without the unpleasant qualities of many other pain relievers. It causes no painful burning sensation, has no odor and does not leave a greasy feeling behind. 6 Jars of Ice Cold Analgesic Gel. - BLUE ICE GEL cool - greaseless - fast acting. Perrigo Muscle Rub Cream 3oz Large Tube ( 3 PACK ) PHARMACY FRESH! MUSCLE RUB CRM X/STR PERR 3OZ@. 1 Tube = 43g. Effective Strength For Relief Of Arthritis. And Muscle Pain.